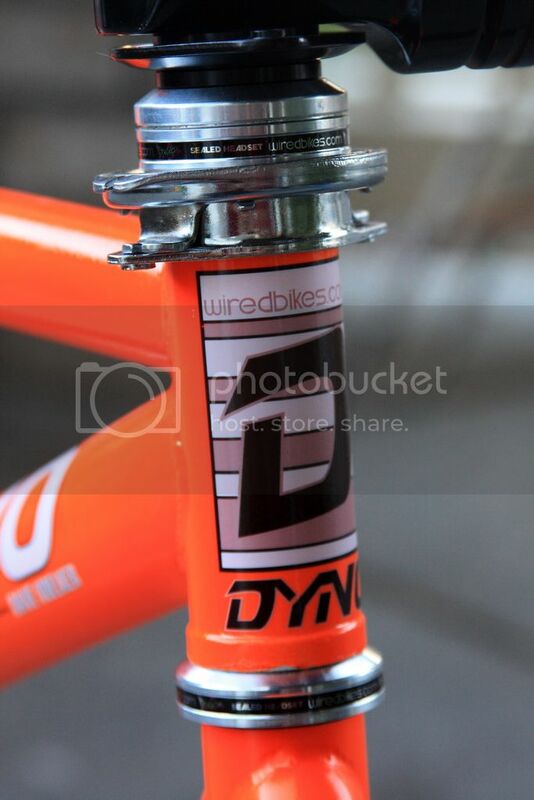 I take it you were able to figure something out with the clearance issues with the rear brake? Yes and no. The "no" is that it won't work the way I wanted with 25/9 gearing. The way I solved it was to use a 39/15 so now I have the clearance. More pics coming next weekend. More pics coming next weekend. As always, looking forward to it! Nice Job ! Headset looks Great !! Anyone still subscribed? Thanks for your patience if you are. I picked up this headset from 1mongoose and got it installed today. 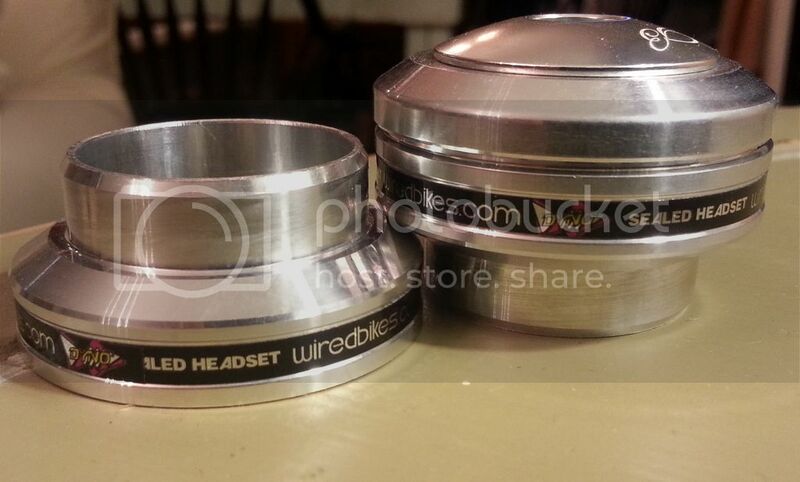 If you haven't yet seen it, this is his custom 1" threaded to 1 1/8" sealed bearing conversion headset and it is sweet! For those of you wondering if it'll work with a Gyro - it does. I've added one brake and got the wheels built and sitting in place. Feels good to get moving on this after so long. I totally forgot about this build! Can't wait for updated pics, and as always great attention to deal. Subscribed. Did this bike ever get finished?